• A 33-volume manga series with over 23.7 million copies sold in Japan to date! 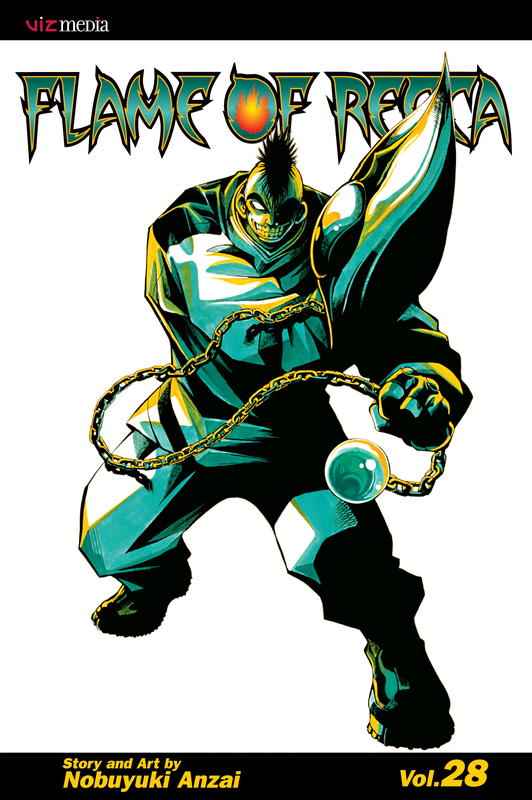 • Flame of Recca DVDs by VIZ Media have sold through 30k copies to date! • Originally serialized in Japan’s Shonen Sunday magazine from 1995 to 2001. • Over 23.7 million copies sold in Japan to date! • Inspired a 42-episode TV show in Japan – now available on DVD from VIZ Media. • Released Bi-monthly (every other month). Armed with the power to control flame, Recca Hanabishi finds himself in an awkward situation when a mysterious older woman pops into his life one day. Is she good? Is she evil? What exactly does she want with the young ninja firecracker? Deep in the labyrinthine fortress city, Team Hokage learns that it isn't easy to play Kôran Mori's deadly games. The devious Kirito stays one skip ahead of poor, gullible Fuko. Domon gets his crumpet burned when he takes tea at Marie's House. Kaoru just keeps running into one creepy guy after another. Even Kagerô's powers may not be enough to stop the darkest forces of SODOM. And while the rest of the gang squirms in the clutches of ultimate evil, where the heck is Recca?